COSO Media designed and developed a new website for Novelty Salt & Pepper Shakers Club. The Novelty Salt & Pepper Shakers Club is a collectors club comprised of members from around the world with various backgrounds who have one thing in common – the love of collecting novelty and figural salt and pepper shakers. Their purpose is to provide services and education to people interested in the history and the collection of novelty and figural salt and pepper shakers. 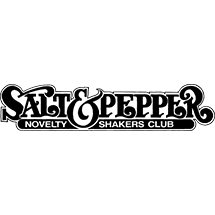 The goal in creating a website for Novelty Salt & Pepper Shakers Club was to establish their organization into an informative resource for their members to learn more about shakers while providing a way to build a community of collectors. Novelty Salt & Pepper Shakers Club wanted the ability for members to browse their extensive collection of shakers so, our team imported their database with over 33,000 products for members to view and continue to add to. We also included the ability to catalog and search the database for specific shakers along with a shaker approval system where the system manager can approve or deny a shaker before it enters the database. An individual must be a member in order to view this collection, which is why we created the ability for our client to easily manage all memberships, including renewals. Our team also provided the ability to approve new members to wish to be added to an associate account. 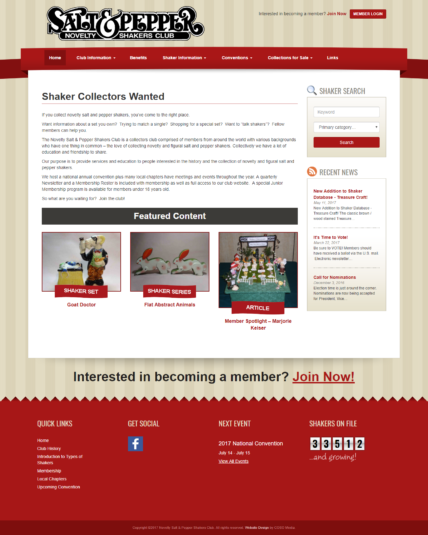 Another main component of this website is the membership community forum where the individuals can buy, sell, and share information about their shakers and build connections. Copyright ©2019 COSO Media. All Rights Reserved.